The Worship Ministry has the responsibility of facilitating an atmosphere of worship that is conducive to prayer, reflection and expression. This team is made up of covenant members of Steele Creek Church who are taking continued steps of maturity by actively progressing through the Discipleship Series, connecting with a Life Group and regular church attendance. These are the fundamental first steps toward involvement in the Worship Arts Ministry. We are a community of artists and techs on a mission to make things that point people to truth. The goal of the worship ministry is that God be glorified and honored when we meet as a church family. We want God to be pleased with our team. We believe that our Sunday corporate worship expression should be an overflow from living a lifestyle of worship. The best way to get an understanding of our vision and philosophy is to visit us on a Sunday morning. We'd love to get to know you! The Voices - This opportunity is open to anyone, 18 years of age and older. Participants share their gifts during the music presentation at all weekend services. The choir is open to anyone. We sing once every three weeks. 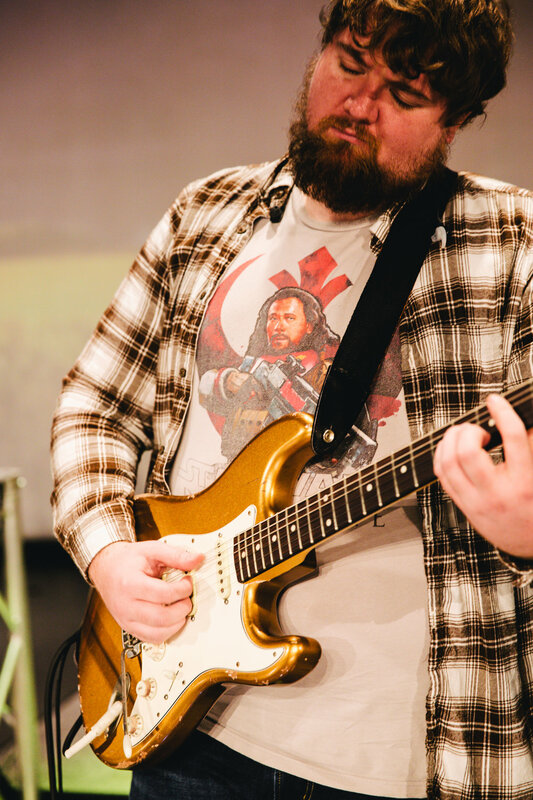 Worship Band - Band members are selected through an interview/audition process. Visual Media Team - Responsible for all the visual elements projected on the main screens in the Sanctuary during Sunday Celebrations. This also includes camera operation, video switching, Pro-Presenter software, and digitally video recording the service. This team is open to volunteers at any skill level. Lighting Team - Responsible for programming and operating the lighting console for the main sanctuary. You may contact the worship ministry with questions or comments at 704.525.1133 x7627 or send us a message through the form below.